Worldcon 76 received 2,828 valid ballots, down from 3,319 at Worldcon 75. Some 40% of eligible members voted, up from 32%. There were 1,813 valid nominating ballots, down from 2,464. The procedure for counting nominations was the same as last year, using the system known as E Pluribus Hugo, or EPH. The rather complicated point system gives a single point to each voter’s ballot, dividing that point among the nominees. The points are counted, the two nominees with the fewest points are compared, and (points not­withstanding) the one with the fewest nominations (votes) is dropped. The process repeats until down to six finalists. This system complicates discussing how close a runner-up to the ballot was, as some nominees might have eliminated others earlier on if they’d had just a few more points, until the last position on the ballot, determined strictly by votes unless there’s a tie. For the sake of clarity we will summarize how close a runner-up was in each category. Once again, it’s time to explain the Australian ballot preference system used for the Hugo awards. First-place votes (including those for No Award) are counted in column one. If no entry has the majority of the vote then the entry with the fewest votes is dropped (e). The dropped entry’s second-place votes now become first-place votes (column two) and the process is repeated until a nominee has a majority of the votes (usually six drops, with six finalists), deciding first place. Second place is determined by dropping the winner, counting their second-place votes as if they were first, etc. Therefore, the item that originally placed second doesn’t necessarily win second place. Likewise, third place is decided by dropping both first- and second-place winners, promoting the next eligible entry, and counting all over again. The system ensures that the winner is liked by a majority of voters, even though it may not have received a majority of first-place votes. The Stone Sky by N.K. Jemisin won easily in the first round, coming in with the most nominations and a solid lead in the voting for first place from the first round on. The Collapsing Empire by John Scalzi led all the way in voting for second place. 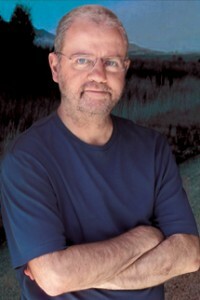 Third was a bit more of a contest, with Six Wakes by Mur Lafferty leading for the first two rounds, but when Kim Stanley Robinson’s New York 2140 was dropped, enough of its votes went to Ann Leckie’s Provenance to give it a slim lead in the third round, finally taking third place in the fourth round. The Lafferty led all the way in voting for fourth place. Raven Strategem by Yoon Ha Lee took fifth place in a single round, leaving the Robinson in sixth. The closest runner-up to the ballot was The Stars Are Legion by Kameron Hurley, which actually had more votes than the Scalzi or Robinson, but was well behind in points; after the last round by points, it was compared by votes with the Lee, which had substantially more. This was Jemisin’s sixth nomination and third win, making her the first person to win Best Novel three years in a row, and to win the Hugo for all three books in a trilogy. All Systems Red by Martha Wells won easily, starting with the most nominations and maintaining a solid lead in the voting through five rounds. The rest of the places saw a similar lack of contention, with smaller leads for the winners: “And Then There Were (N-One)” by Sarah Pinsker took second place, followed by Down Among the Sticks and Bones by Seanan McGuire in third, Binti: Home by Nnedi Okorafor in fourth, The Black Tides of Heaven by JY Yang in fifth, and River of Teeth by Sarah Gailey in sixth. The closest runner-up was Passing Strange by Ellen Klages, which ended up 19 votes behind the Okorafor. This was Wells’s first win and first time being nominated; she was also nominated this year under Best Series. “The Secret Life of Bots” by Suzanne Palmer came in with the most nominations and the most first-place votes, and held its lead through six rounds to win. “Wind Will Rove” by Sarah Pinsker led all the way in the voting for second place, and “A Series of Steaks” by Vina Jie-Min Prasad took third place without challenge in four rounds. “Extracurricular Activities” by Yoon Ha Lee took fourth place in similar fashion. “Children of Thorns, Children of Water” by Aliette de Bodard took fifth in one round, leaving “Small Changes Over Long Periods of Time” by K.M. Szpara to take fifth. “The Dark Birds” by Ursula Vernon was the closest runner-up, with the same number of votes as the de Bodard, but by points ended up compared in the last round with the Pinsker, which had three more votes. This was Suzanne Palmer’s first nomination and win. “Welcome to Your Authentic Indian Experience™” by Rebecca Roanhorse was only second in nomi­nations, but had the most first-place votes and led through six rounds to win. Second place was a bit of a contest, with Vina Jie-Min Prasad’s “Fandom for Robots” (which had the most nominations) tied in the first round with Linda Nagata’s “The Martian Obelisk”; the Nagata pulled ahead slightly in the second round, but the Prasad pulled ahead in the third, and hung onto the lead to take second in six rounds. The Nagata then led all the way to take third place in four rounds. “Sun, Moon, Dust” by Ursula Vernon took fourth place without challenge, “Carnival Nine” by Caroline M. Yoachim took fifth, and “Clearly Lettered in a Mostly Steady Hand” by Fran Wilde ended up sixth. The closest runner-up was Tobias S. Buckell’s “Zen and the Art of Starship Maintenance”, only three votes (less than two points) back of the ballot. This was Rebecca Roanhorse’s first nomination and first win. Lois McMaster Bujold’s World of the Five Gods won easily, despite being only third in nominations; it started with a solid lead in the voting and stayed well ahead for all six rounds. 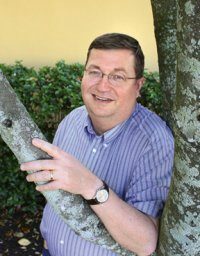 The rest of the places went with a similar lack of challenge, with the In­Cryptid series by Seanan McGuire taking second, The Memoirs of Lady Trent by Marie Brennan third, The Books of the Raksura by Martha Wells fourth, The Stormlight Archive by Brandon Sanderson fifth, and The Divine Cities by Robert Jackson Bennett sixth. Withdrawn and ineligible works complicated nominations in this category. The most nomina­tion votes (196) went to The Broken Earth trilogy by N.K. Jemisin, who declined nomination. Three series that otherwise would have made the ballot were eliminated because they lacked enough words published since their last appearance in the category: The Expanse series by James S.A. Corey, The Craft Sequence by Max Gladstone, and the October Daye series by Seanan McGuire. The closest runner-up was the Foreigner series by C.J. Cherryh, which was very close, having more votes than the Stormlight Archive series, but fewer points. It ended up comparing votes with the InCryptid series, which had four more votes. 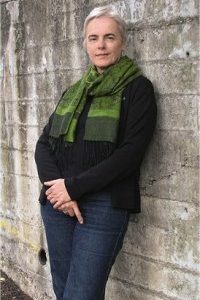 This was Bujold’s 16th Hugo nomination and seventh win, her second in this category, which has only been awarded for two years. Ursula K. Le Guin’s No Time to Spare won, despite being in the middle of the pack in nominations, and starting out second in first-place votes, behind Zoe Quinn’s Crash Override: How Gamergate <Nearly> Destroyed My Life, and How We Can Win the Fight Against Online Hate. The Quinn held onto the lead for the first three rounds, but after Nat Segaloff’s A Lit Fuse dropped, the biggest part of its votes went to the Le Guin, giving it the lead, and it held on to win. The Quinn took second place without contest in only four rounds. Luminescent Threads: Connections to Octavia E. Butler, edited by Alexandra Pierce & Mimi Mondal, led all the way in the voting for third place. Fourth place was more of a contest, with Liz Bourke’s Sleeping With Monsters: Readings and Reactions in Science Fiction and Fantasy leading the first two rounds. Once again, dropping the Segaloff changed things, and Paul Kincaid’s Iain M. Banks jumped ahead to take fourth place in the third round. The Bourke took fifth place in one round, leaving the Segaloff to take sixth. The closest runner-up was website Archive of Our Own, which would have made the ballot with just over a quarter of a point more. This was Le Guin’s 24th nomination and seventh win. 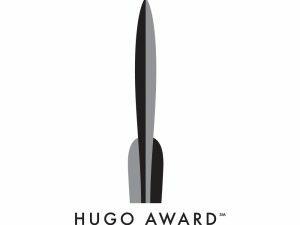 For more on the Hugo voting, see our October 2018 issue.